Mobile apps like Snapchat are quickly becoming one of the most popular social media platforms in line with Facebook, Twitter and Instagram. 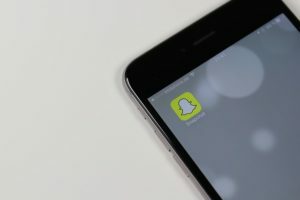 While the aforementioned social mediums are holding strong amongst real estate professionals for marketing purposes, they lack some Snapchat’s ease of use and the visual capabilities that are becoming so prominent in this technologically savvy industry. A great way to market your own personal real estate app is by combining it with one of the most popular social media apps. First things first, what is Snapchat? Snapchat is a video messaging app that allows to you can take photos, record videos, add text and drawings on top of them and send them to your followers. The content you release on your stories are called “snaps.” Users can then set a time limit for how long recipients can view their snaps (from one to 10 seconds). Because of the limited time your followers have to view your snaps, it makes your content a “hot commodity” that will have your followers’ undivided attention. How can you use Snapchat to your advantage in real estate marketing? Snap to preview homes: Because real estate is a very visual industry, it’s always important to utilize technology that showcases that. Using Snapchat to preview a home for potential buyers allows your followers a feel for how the home looks in person. Snap neighborhood features: Homebuyers nowadays can easily find specs about a home online, but a lot of information about the neighborhood it resides can be a bit more elusive. You can use Snapchat to allow potential homebuyers a peek at the surrounding neighborhood, which could make or break a potential viewing. You can do quick reviews of the nearby restaurants, schools, the back porch, the patio, the pool, or anything relevant that adds value to the consumer. Snap unique home elements: Not only can you use Snapchat to preview new homes, but you can also use it to showcase nifty gadgets for a home. For instance, if you’re in the local home improvement store, snap a video or photo of a home security system clients can use to secure their new homes. Snap to preview yourself: Much like previewing a home, potential homebuyers want to know things about the person who will be with them every step of the way on their home-buying journey. You can snap a video about yourself, snap photos of your office, and even a snazzy screenshot of the real estate mobile app developed by SnApp Real Estate. Here at SnApp Real Estate, we build high performance real estate mobile apps that will help you streamline your business, connect with clients easier and can be used in tandem with other apps like Snapchat. Take advantage of our easy to use and customize application technology. This entry was posted in app marketing real estate, apps for real estate agents, mobile apps for real estate brokers, mobile development, SnApp Real Estate and tagged app marketing real estate, apps for real estate agents, mobile apps for real estate agents, mobile development, SnApp Real Estate. Bookmark the permalink.